Let me tell you of Fairy Tales…. I am not ashamed to admit that I harbor a strong love for fairy tales. I know, the Disney versions are the sweet and sappy counterparts of the real thing by the Grimm brothers. But there’s just something about fairy tales that dearly resonate with me, as I’m sure it still does for many other young people. I guess it’s either you-love-’em-or-hate-’em kind of thing. And when I say “fairy tales”, I do mean just the biggest classics. So for you fans out there for the recent Disney princesses, er, sorry but you’re on the wrong musings page. This isn’t what this post is about. The ones I deem as classics are simply Cinderella, Snow White and Beauty and the Beast. 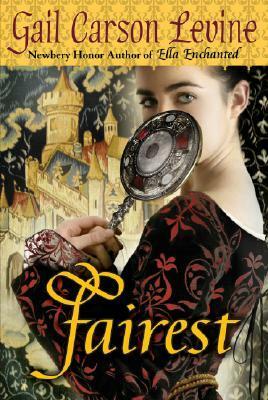 Along with this penchant for fairy tale stories comes the love for fairy tale retellings. Yes, if you look deep enough on this site, there are a number of fairy tale based books I’ve posted about. And I’m PICKY when it comes to basing stories off of fairy tales. So, where did this love for such things come from? You may think the Disney movies, hmm? WRONG. Yeah, I mean, they’re nice and all, but what really got me hooked? Oddly enough, the answer is…well, a fairy tale retelling. I fell in love with a book based off of Cinderella, and then its counterpart that was based off of Snow White. From there, the love for fairy tale retellings was kindled and eventually festered into something larger. Now I have a secret love for princess books (shhh, don’t tell the world that. What would they think of a girl my age loving princesses?! Er, I might need to cover my face with a paper bag). Oh, I didn’t really answer your question, did I? What books were these? Ha, I will give credit where it’s due. These books were written none other than by the amazing children’s author Gail Carson Levine. 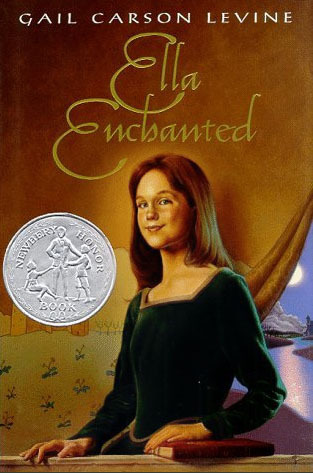 Cinderella’s story was called Ella Enchanted (which was featured into a movie with Anne Hathaway! – so it’s a big deal, yo), and Snow White’s story later came out and was dubbed Fairest. Before you think to yourself that fairy tales are just for plain little kids with no sense of reality, hold onto your hats for a second. Yes, the plots and things that happen to these types of characters don’t necessarily reflect what goes on in the real world. BUT. It’s not about being all practical and knowing that these things can actually happen word for word in our lives. What makes fairy tales thrive from generation to generation simply lies in its ideals. Fairy tales make you feel for the protagonist. Things never quite look so good for them, which IS something we can ALL relate to in “real life”. Life’s unfair. That’s a common enough motto going around nowadays. However, these stories show that life may be unfair, but sometimes, things can look up when it’s hit absolute rock bottom. Prince Charming may not physically show up on a horse, but he can represent another chance at something great or redemption from our circumstances. He’s the idea of hope, that things can work together for good in the end. That’s what I love about fairy tales. It may be for children, but it surely presents itself in themes that resonate with the average adult. I’m not pushing that everyone start picking up fairy tale books again, and I know even these themes or messages don’t speak to everyone. I’m only encouraging the view that it’s not necessarily just the cheesy stuff made for kids’ enjoyment. I think people are starting to see this too. For example, the hit TV show Once Upon a Time definitely dives heavily into all fairy tale characters and their stories. I hope this will give you pause the next time you reminisce of childhood and the stories that came along with it.